A misshapen head in a baby or toddler may be the result of craniosynostosis, which is a deformity of the skull caused by premature fusion of bones of the skull. 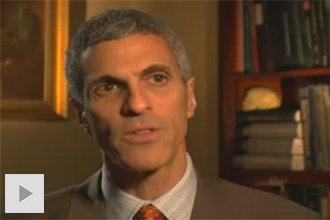 It occurs in one out of 2,000 live births and is much more common in boys than in girls. Infants and children with craniosynostosis almost always have normal brain function and development, and the condition can be safely corrected by an experienced neurosurgeon. Depending on the form of synostosis a child has, the surgical team may also include a plastic or reconstructive surgeon (see Doctors Who Treat Craniosynostosis). Note that craniosynostosis is different from the “flat head” that sometimes occurs in babies who spend a lot of time on their backs — a condition called deformational plagiocephaly, or positional molding. Deformational plagiocephaly is self-correcting and resolves on its own over time, but craniosyntosis does not. The skull is not one large bone — it consists of several bones that are held together by long, fibrous elastic tissues that allow the skull to expand as the infant’s brain grows and develops. These tissues, known as sutures, normally fuse (or close up) between the ages of one and three years, after the rapid brain growth that occurs during an infant’s first 36 months. In some children, however, one or more of the sutures fuse early; because the brain is still growing at its normal rate, the premature closing of the sutures results in an abnormally shaped head. Unilateral or bilateral coronal synostosis is the second most common form of craniosynostosis. It’s caused by the fusing of the coronal suture, which runs crosswise on the top of the skull (from ear to ear) and is divided in half by the sagittal suture. In unilateral coronal synostosis, either the left or right side of the coronal suture closes prematurely; you may notice that one eye is slightly higher than the other, that one ear is further forward than the other, or that the nose appears tilted. In bilateral synostosis (which is less common), both sides of the coronal suture fuse too early. 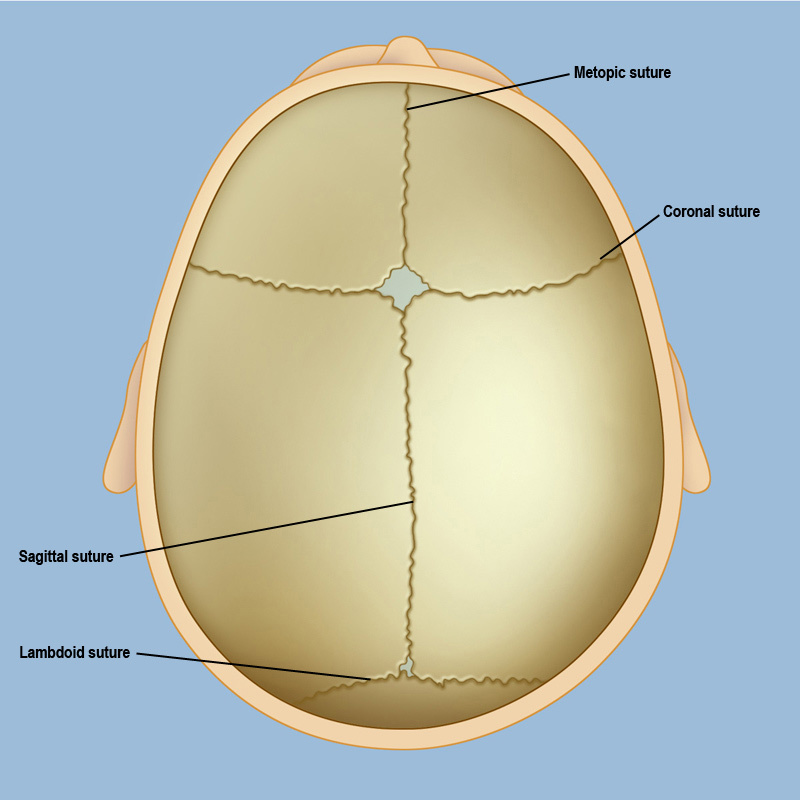 Metopic synostosis is less common, and is caused by the fusing of the metopic suture, which runs from the top of the skull down the center of the forehead to the nose. A child with metopic synostosis may have a triangular-shaped forehead, which is known as trigonocephaly. Lambdoid synostosis is caused by the fusing of the lambdoid suture, which is located on the back of the skull and shaped like an upside down “V.” Usually only one side fuses, but there have been rare cases in which both sides fused. A child with lambdoid synostosis may appear to have one side of the head flatter than the other, or a low bump behind the ear on the affected side. 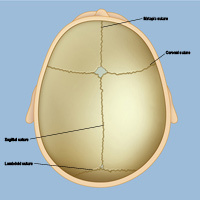 See illustrations of all types of craniosynostosis on the Symptoms of Craniosynostosis page. It’s not clear why some children experience a premature fusing of the sutures. In some cases there is a family history of the abnormality, but more often there is no apparent reason for it. A child with craniosynostosis usually has no other abnormality, but in some cases it is part of a larger syndrome caused by a genetic mutation. Children with craniosynostosis should be examined to rule out other possible genetic disorders or malformations. Children with craniosynostosis or other craniofacial abnormalities are best treated at a major medical center with a comprehensive Craniofacial Program, where experts from a wide range of disciplines have expertise in craniofacial disorders.